Amazon and eBay may be the goliaths of marketplace solutions, but they are not the only marketplaces in the world. According to Forbes, marketplaces are the new department stores. Marketplaces offer customers a greater set of product ranges, and because consumers don’t like using apps from single retailers, they are much more likely to download an app that offers a diversity of products. There are increasing benefits to owning, and/or being a vendor, of online marketplaces. For retailers, marketplaces create a new sales channel. It is no secret that customer acquisition is not light in cost, so giving up a percentage of revenue (or paying a monthly subscription fee) may be worth considering in order to gain more exposure via the marketplace. Another benefit is the sale of product by association. If a customer comes to the marketplace looking for a specific product, they may also find an interest in what you are selling. For non-retailers, there is opportunity to be had by offering a unique marketplace to retailers who could use a hand with customer acquisition. When you create an online marketplace, you essentially provide retailers with a new sales channel for their own products and/or services. Your product becomes the marketplace itself. With complete control of what vendors market and sell through your website, you can craft a great customer experience to promote your online business to the end consumer. In turn, you can then capitalize on the marketplace by promoting it to smaller retailers who lack market exposure. 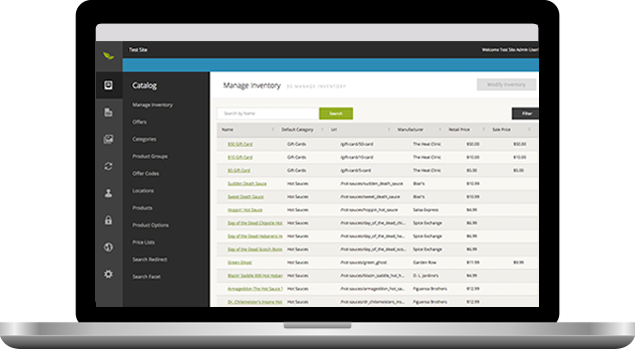 Broadleaf’s Marketplace Edition is special in that it is designed to be as easy as possible to manage multiple vendors. Every vendor of the marketplace has the ability to make changes to their catalog, pricing, etc., but their changes are staged in a sandbox until the marketplace administrator decides to accept, decline, or override changes. If you are thinking about your next steps to create your own Marketplace, take a look at Broadleaf and request a 1:1 demo of the framework or contact Broadleaf to tell us more about your eCommerce needs. Additional information about the Broadleaf Marketplace edition can also be found on our Marketplace Reveal Webinar.